This is a liberated boot,"Côte Blues", featuring the Miles Davis Quintet at the Juan-les-Pins Jazz Festival in July 1963. The sound is excellent - it's from an FM recording - and the music is sensational, with the quintet in top form. Since picking this up from dime earlier this week (thanks to othmar1956 for seeding), it has been on constant rotation, and I hope it gives you some great music to enjoy over All Saints this weekend. THE TRIO "LIVE IN GÖTTINGEN, 1970"
Something special.. a wonderful concert by the Trio..One of the great post bop outfits of the late 60’s early 70’s. Most people, will be familiar enough with the work of John Surman and Barre Phillips both of whom are by now elder statesmen of the European jazz and contemporary improvised music scenes. Both have carved out significant careers and recorded prolifically coming to prominence among the general listening public through recordings on the ECM label. Less is known about Stu Martin, who like Phillips was an expat American living in Europe at the time(Phillips lives in France and has done for nearly 30 years). Stu martin started his career in the late 50’s first appearing with Maynard Ferguson’s Orchestra, by the 60’s he was recording with the likes of,Art Farmer and Lee konitz (a prime example being zo-ko-ma on mps also featuring Phillips,Atilla Zoller and Albert Mangelsdorff). The trio formed in October 1969 and lasted about two years in which time they recorded the magnificent self titled dawn double lp , and in early 71 ‘Conflagration” still available on the Bgo label. This concert features a lot of the material from the Dawn set…to my ears even more ferociously driving. A stunning set in superb sound. Many thanks to the seeders/traders Jazzrita and to B.
APROXIMATELY 2HOURS AND 10 MINUTES!! Here is a performance of Gérard Grisey's Les Espaces Acoustiques from the Munich Bienniale earlier this year. The piece has six parts, starting with a prologue for solo viola and moving to groupings for 7, 18, 33 and 84 musicians. Quite apart from the numerological aspects of these groupings, this is Grisey's 'laboratory' for explorations in sound and what music represents. 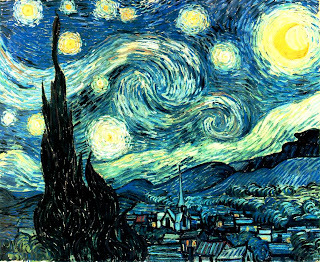 As chords resonate and morph, so the mood of the music also changes, from 'serious' one minute to comical the next. (At a performance of Partiels I was at last year, the audience was laughing out loud in the final moments). Its organic, flowing nature is quite the opposite of austere post-modernism - this is music that lives and breathes. Herkulessaal, Munich Bienniale - 2nd May, 2008 (and broadcast subsequently on Bayern 4's excellent Horizonte programme). 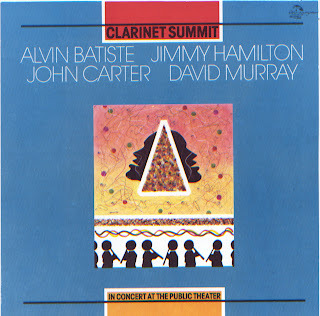 As a contribution to the new discography blog for India Navigation I thought I'd post this great CD which combines volumes I and II of Clarinet Summit. This is pretty much a clarinet version of the saxophone quartets which were in vogue in the 1980s. Led by John Carter, a featuring Ellington alumnus Jimmy Hamilton, in/out player Alvin Batiste, and David Murray who had taken up bass clarinet few years before. The programme is an interesting mixture of original compositions from the group members and Ellington originals. The CD features sleeve notes by Stanley Crouch (doing a bit of historical contextualisation) and John Carter (explaining how the date came about). Crouch empaphasises the New Orleans origins of jazz clarinet, evoking Bechet and Barney Bigard as precursors, and rightly says that the music chosen owes much to the success of the performances. Honeysuckle Rose highlights Batiste and Hamilton, and Murray solos on his own Sweet Lovely. The lengthier tracks show John Carter's writing and arranging off to great effect, and are excellent examples of why I rate him as one of the master's of jazz. Given the long careers of the other three, the much younger Murray acquits himself superbly, and without hesitation. The group practiced for three days before, but they sound completely at ease with each other. This inter-genreational approach was to be a common feature of Murray's later bands. In response to a recent request , here is another pristine rip by glmr. just a quick post ..im supposed to be playing a gig later tonight and need to prepare. i wont go on , but simply allow this magnificent document to speak for itself. if anyone on this board wishes to edit this post and add a write up OR BETTER COVER SCANS..please feel free. 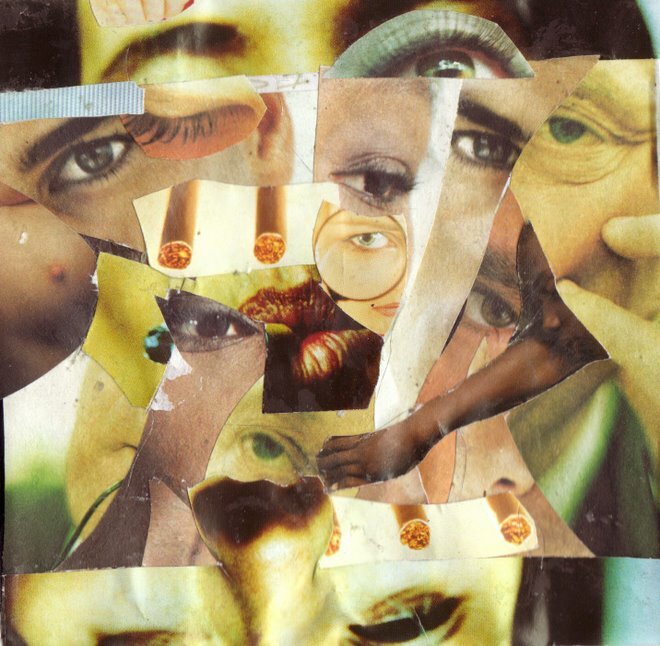 check the archives for an earlier post of the companion lp "compositions " from a year or so later. tuba; Buschi Niebergall: bass; Paul Lovens: drums. many thanks to Nuno for the cover photo!! Here’s a wholly improvised set from master trombonist Radu Malfatti from way back, long before he became the eminence Gris,new school minimalist guru spawning a new generation of no input process orientated improvisers and composers. The André Breton like,lofty eyed arbiter of the orthodoxies of the genre. and countless others no doubt. in fact he’s on the Michel Portal unit live in Hamburg posted below 10 days ago. This isn’t a lost minor masterpiece, intriguing though it is. 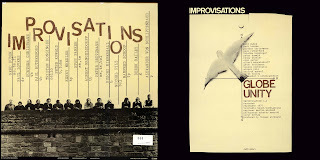 One thing is certain; its eclecticism was fairly rare among “free improvisers” at the time. Not unlike the above mentioned Portal concert it moves in and out of fixed tonalities, and more conventional harmonic terrain as well as pure sound. And sheer exuberant noise. It all amusingly ends with a beautifully played (un- ironic) calypso. Humanimal is dedicated to Joe Mcphee. A couple of wonderful records from Glmlr , including a promised rip of jamabiko. celeste is much closer in style to Pilz's F.M.P classic Carpathes, an incredibly richly textured and lyrical free -jazz album. 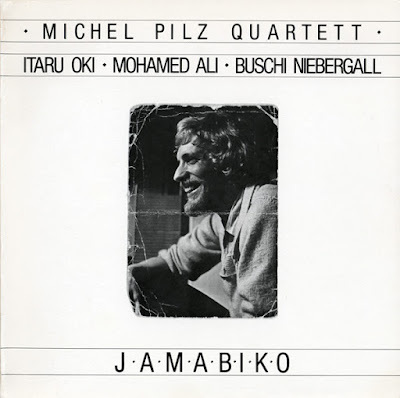 while jamabiko features joyously upbeat more conventionaly swinging song forms peppered both rythmically and melodically with a township flavour. 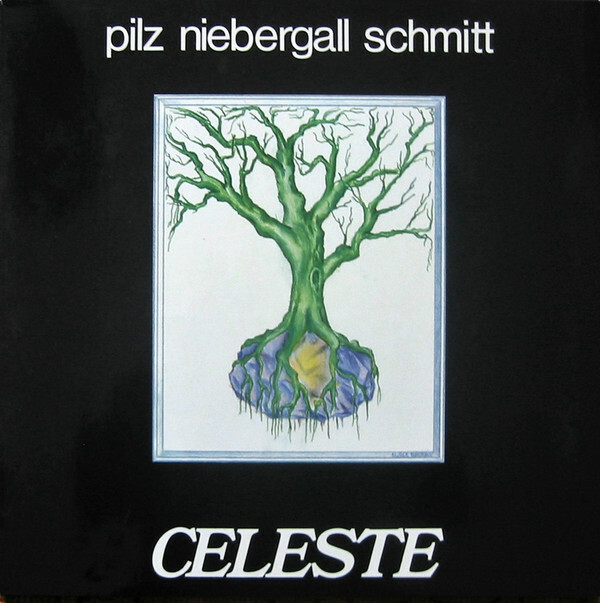 "There's not a lot known about Michel Pilz. He was born in Germany, but has lived all his life in Luxembourg. Still does. He's probably about 70 today. He's a close friend and collaborator of Manfred Schoof. Unlike most players, e.g. tenor sax players who also play the instrument, bass-clarinet is Pilz's main instrument. He rarely plays anything else, though of course he plays sax if needed. He joined Globe Unity in its very early days in the 60's, then along with Schoof he left the band in the late 1970's, and played a lot with Schoof's own quintet (those three Japo albums, if you remember). Since then, he's kept a low profile teaching and working in Luxembourg. But he's still active." Michel Portal is one of those multi-instrumental, multi-genre musicians it seems impossible to pin down. He's adept in the classical music world, he's at home in the world of contemporary music and free improvisation, he's attached to folk music in Europe (hailing from Bayonne in the Basque region of France) and abroad and he was in the first generation of people to introduce free jazz to audiences in his native France and elsewhere in Europe. So what to make of him? Who knows and who cares? He sees himself as an anarchist and why not? In the 1970s the Michel Portal Unit made a couple of records for French labels. First was one called "No no but maybe" recorded at Chateauvallon in 1972 and released on the Chant du Monde label. Later came the "Chateavallon 76" record on the L'Escargot label. I've got both of those, but the first one has been rereleased on cd and should be fairly easy to obtain. The second one remains out of print. The picture above is taken from the inner sleeve of the first Chateauvallon record. The line-up on the first Cahteauvallon record is the same as the one we will hear here. Most likely recorded from FM radio to tape and then transferred to a digital medium. The unusual feature of this line-up is the presence of two bassists, Francioli and Guerin. I believe they can be heard as they are positioned in the above picture with Francioli in the left channel and Guerin in the right. Their presence gives the performance a strong rhythmic propelling force and an added depth. Both Favre and Vitet add to the percussive punch of the ensemble. Another feature of the Unit is that there's no clear sense of a leader or lead instrument. Each throws their lot into the ring and all sorts of interplay pop up in the course of these extended pieces. There's no marked sense of tunes being played either as a recognisable melody might turn up anywhere from any of the Unit members at any point in time. Yet it never sounds like an unstructured blow-out typical of free jazz ensenbles at the time. A feeling of space is kept throughout for quiter interactions between two or more. Portal heads off the set with what sounds like an emulated didgeridoo or an accidental meeting of aboriginals during a walkabout and rounds off with an Argentinian tango on the bandoneon. In between, lots of things are happening on a multitude of instruments and not according to any thought out scheme either. All in all, highly unpredictable, highy enjoyable and highly entertaining! This was upped at Dime by .......................so a tip of the hat for this and other Portal goodies. There shall be more Portal in the time to come! Recorded at Morese Recital Hall, Sprague memorial Hall, Yale University (tracks 1-3), Horizon studios (4,5 & 10), and Jamal's house (6 to 9). I think this is a remarkable album. It's unlike anything else in Jamal's distinguished discography. This makes it even stranger that this is currently OOP. There are three different performances here. On the first five tracks Jamal's trio performs original integrated compositions with a string quartet, the next four are solo piano improvisations recorded in Jamal's living room, and the final piece is a ballad by producer David Mills with piano and violin. The first three tracks are live, while 4, 5 and 10 were studio recordings. The exuberance of all players is a pleasure to behold, and the music is genuine and unforced. A real joy. 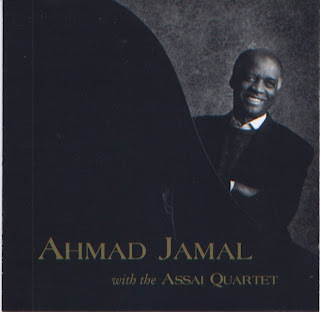 I just love the music Ahmad Jamal produced over his fifty-seven year (and counting) career of recording. This album is interesting in the way it tried to harness Jamal's distinctive sound to the then new digital recording techniques and CD format. The cover proudly claims "this is a full digital recording", and the promotional push reminds me of those early 1950s attempts to place jazz at the centre of the hifi and stereo innovations in recording and playback. If you listen to Jamal's music it is easy to see why Atlantic thought it was ideal for digital recording. The pianist's deft touch and idea of space influenced Miles Davis, and he has always gone to great lengths to produce percussive and precise music with a strong balance to all the instruments in his basically trio format. Here, as was the case for much of his later career, he also uses a percussionist, and like other albums of this period he plays both a Steinway acoustic and electric keyboards (a Fender Rhodes, I think). 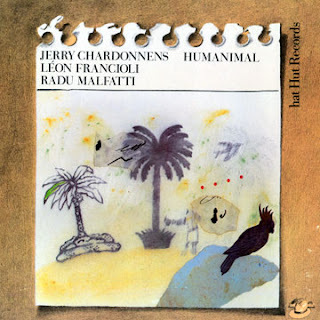 Larry Ball plays electric bass in a fluid style much suited to Jamal's style, and if the instrumentation and arrangements try just a little to hard to update the Jamal classic sound, it does work. The tracks are mostly re-recordings of numbers that must have sustained his career, and are a mix of originals, standards, and pop and theme tunes. I'm a real sucker for Poinciana which was probably the first Jamal recording I heard in the 1970s when his records were very hard to find indeed. At least that was true in the UK. This is a great updating (the second it has to be said) nearly thirty years after his initial success. 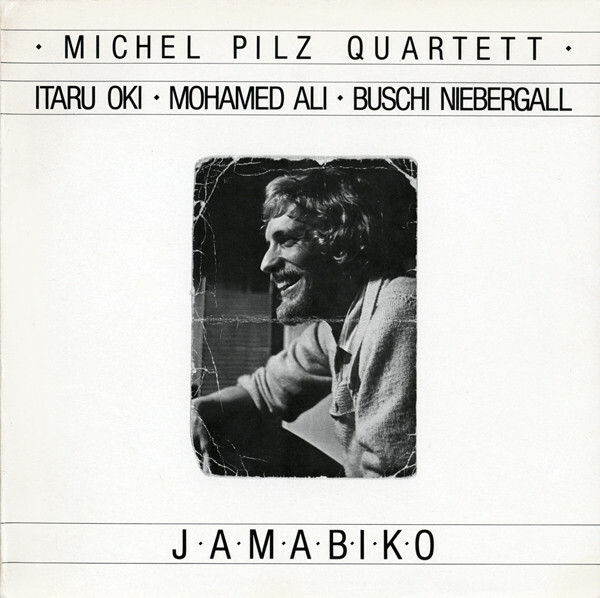 It's hard to imagine that players like Jamal had pop success, but the pianist's early career was supported by Okeh and Chess, although he was also on Impulse! I know this is a little different from the usual IS shares but give it a listen. 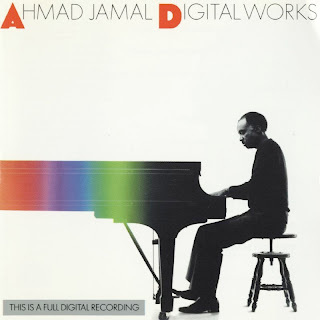 This is the first of a few OOP Ahmad Jamal's that I'll make available to add to the close to comprehensive list you can find at Never Enough Rhodes Thanks to Simon for his stirling efforts. I hope you enjoy this one. 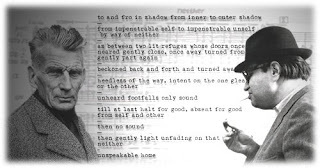 Neither is a one act 'opera', for soprano and chamber orchestra, using a 'libretto' from Samuel Beckett. The words are indecipherable - they hang in the air and never resolve, complementing the music which shifts, flows and ebbs. According to Feldman, every line of Neither "is really the same thought said in another way. And yet the continuity acts as if something else is happening." It's interesting to compare this to Boulez's idea of the text which is constantly changing and which never ends the same way. There was a little exchange of comments on Bowie 70s albums recently, so I thought I put up this one which has not been rereleased since it first appeared on the Horo label in 1978. That year was quite a productive one for Lester. "The 5th Power" came out on Black Saint with the same line-up and a duet with Phillip Wilson also came out on the Improvising Artists label. I haven't checked the general availability of these two, but I do have them both on vintage vinyl. I've also come across a live set at Willisau, again with the same line-up which I'll put up here a little later on, once I got a chance to listen and upload. "Amina" is a slow, mournful, gospel-tinged piece strongly featuring Myers (as could be expected). Slow, grand and beautiful. "Captain Courageous" is a Bowie exercise in strangled trumpet(er) as we have come to know (and love) over the years. "Tricky Slicky" is a fairly straight and light-mooded jazz piece. "Chili MacDonald", again a collective piece, has a strong flavour of the Caribbean and of gospel (which is also very apparent on the Willisau set, mentioned above). Last, but not least, and my favourite on this record, "For Fela", dedicated to legendary Nigerian saxophonist, big band leader and rebel against government and international capital (dig out "ITT"), digs into deep funk with one of those organ-bass riffs that never quit. In line with African records at the time, this brew cooks for about twenty minutes. 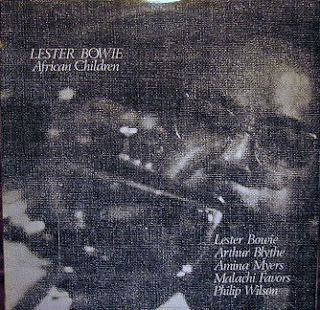 All in all, this record shows up the rootedness of Bowie in the great African-American music tradition which winds back to Africa ultimately, hence the title. Thanks to "horse" in the very fine lossless jazz group on Usenet for posting this one. I do have my own copy, but finding a lossless digital copy saves up a lot of time and work. And a splendid copy it is. There was a technical fault with the first track, which meant it had to be digitally rerecorded, but I don't think it'll be noticeable on this upload. BONUS. As mentioned above, this line-up made an appearance at the Willisau jazz festival in 1978. There was a little discussion on Dime about the exact date of this appearance and the consensus seems to be September 1 1978. The piece is entitled "God has smiled on me" - at the outset a gospel song with vocals by Amina Myers, but the song is all but a point of departure for extended improvisation clocking in at over 40 minutes in all. Links in comments. Thanks to "blackforest" for upping this one.